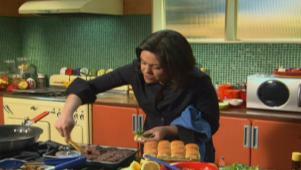 Rachael makes her version of artichoke dip with Gorgonzola crumbles. 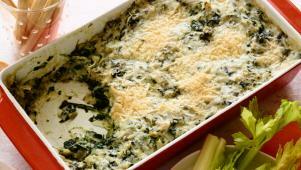 Rachael's hot and cheesy Gorgonzola Spinach Artichoke Dip is a party hit. 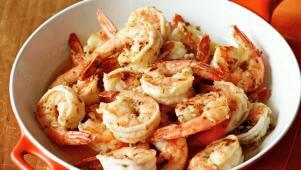 Rachael spices shrimp like Italian sausage, with red pepper and fennel. Steakhouse Sliders and Mini Steak Fries are almost too cute to eat.